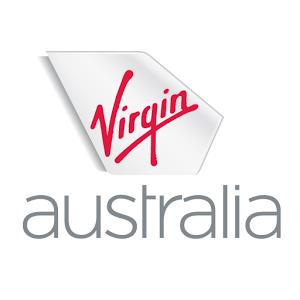 Up to 90% off deals, and all the latest Virgin Australia Coupon Codes right here! NO HIDDEN Coupon Codes, so don’t click anywhere else! Trans-Tasman International Short and Long Haul Flights 31 December. Latest Flight Specials 31 December. Virgin Australia is one of Australia’s largest airlines. They take you to some of your favourite destinations across Australia and around the world! We’ve collected the best deals and the latest coupons and vouchers for Virgin Australia right here. They have hundreds of destinations across Australia and around the world. Locations includes the United States, New Zealand, Hong Kong, \Asia, Europe and other destinations. Virgin Australia has the means to take you on your dream holiday! They are part of the global Virgin group, and was previously known as Virgin Blue before it re-branded. They have partner airlines, and the ability to earn Velocity points every time you book a flight and through hundreds of partners across Australia. Therefore, they’ve got one of the most rewarding loyalty programs to help you get to where you want to go. Since their inception, they have developed a reputation for being one of the leaders in Australia. With high quality flights combined with great customer service, you can fly with confidence on their website! Virgin Australia accepts most of the main payment methods. This includes the major credit card providers! Visa, Mastercard, American Express as well as many other popular payment methods are accepted! We’re continually updating this page with all the latest Virgin Australia coupon codes, and deals. Stay tuned to this page for more deals! Unlike the other sites, we have NO HIDDEN Virgin Australia COUPON CODES! So don’t settle for the fake deals and fake coupon codes of the other sites. Keep on this page for more of the latest deals!